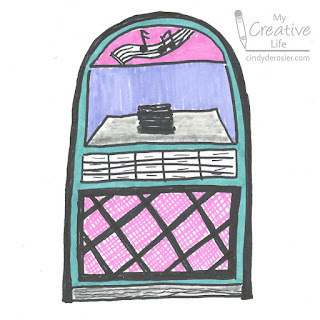 I've been drawing jukeboxes lately. They're all quick sketches with a black Sharpie - no planning, no erasing, no changing. 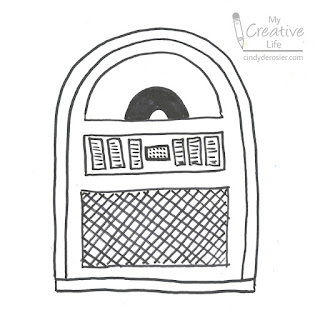 My jukeboxes are far from perfect. They're lopsided and irregular, but I love them. I've colored in each one with different media. You can draw your own jukebox in just a few easy steps! First, draw an arc. 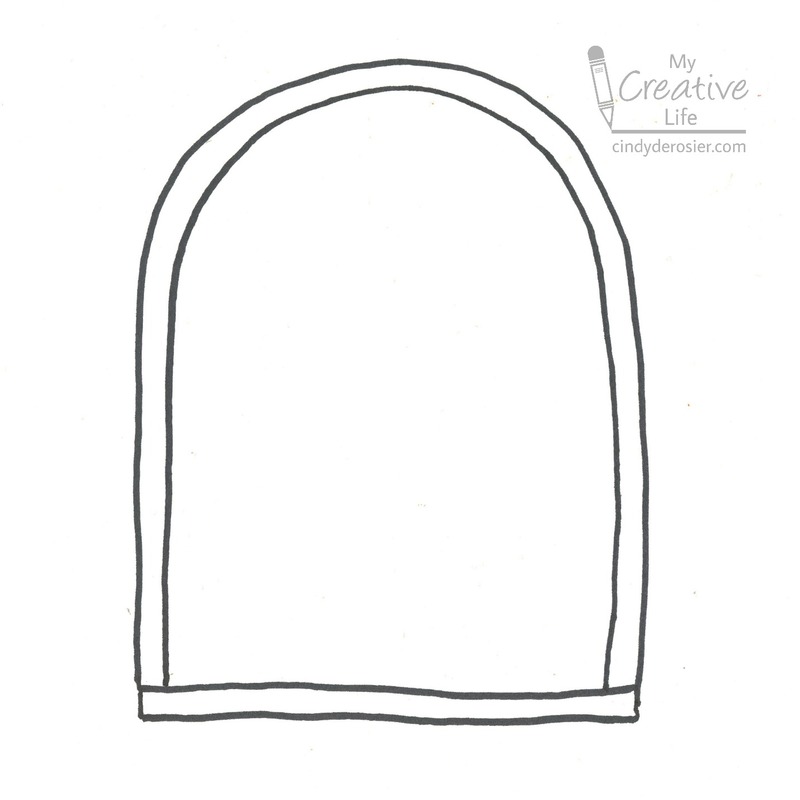 Draw a rectangle connecting the two ends of the arc. 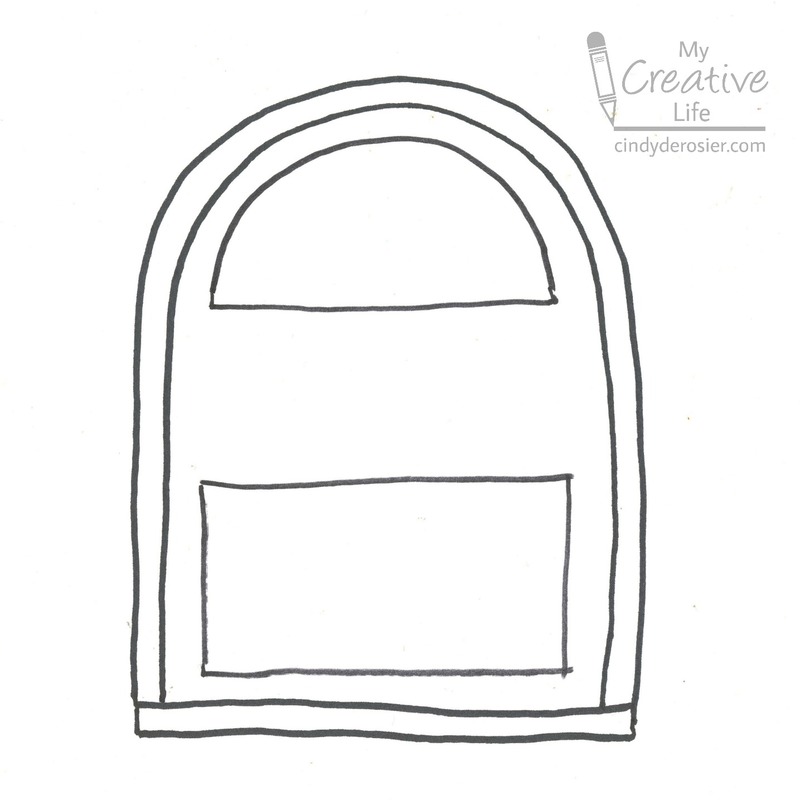 Your arc can be tall and narrow or short and wide. 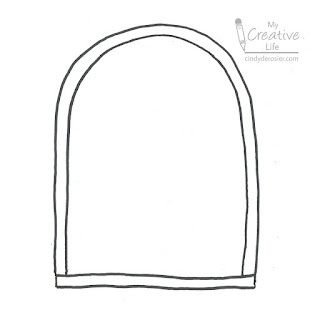 Add a semi-circle just inside the top of the arc. 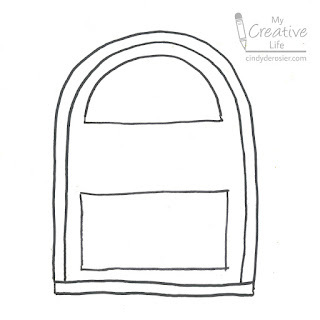 Add a rectangle (or an inverted semi-circle) at the bottom. This will be the speaker. Again, there are no rules about any of this. You're the designer! 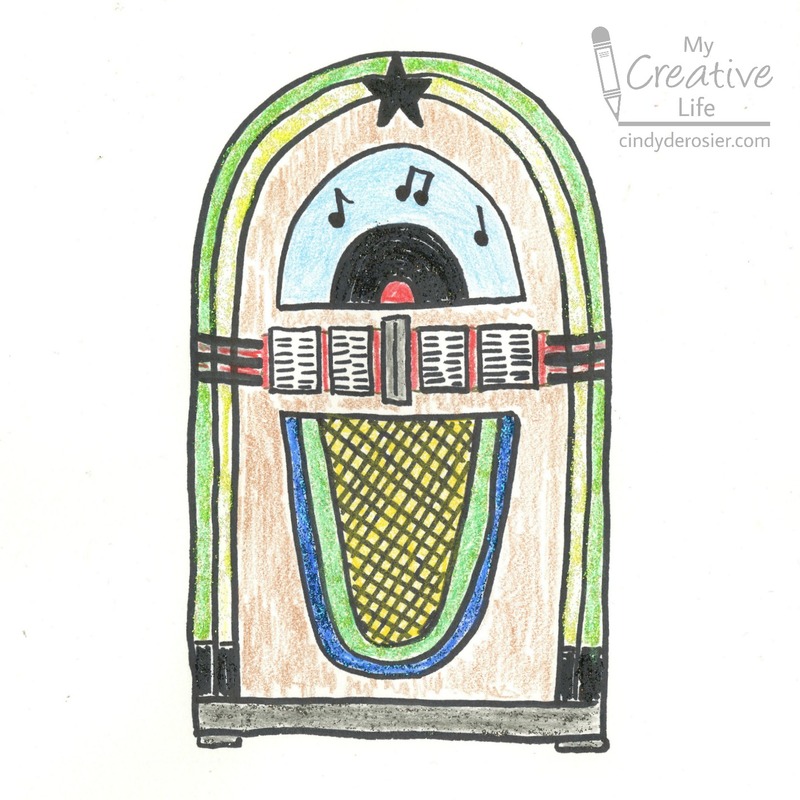 Add a rectangle in the middle of the jukebox where the songs are listed. Fill the bottom rectangle with crosshatches. 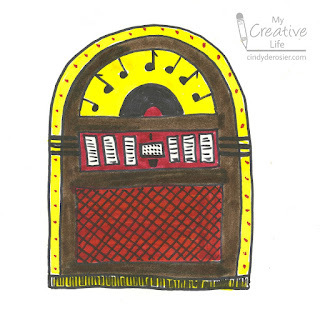 Now add details - a record, musical notes, or whatever else you can dream up. Finally, add some color! 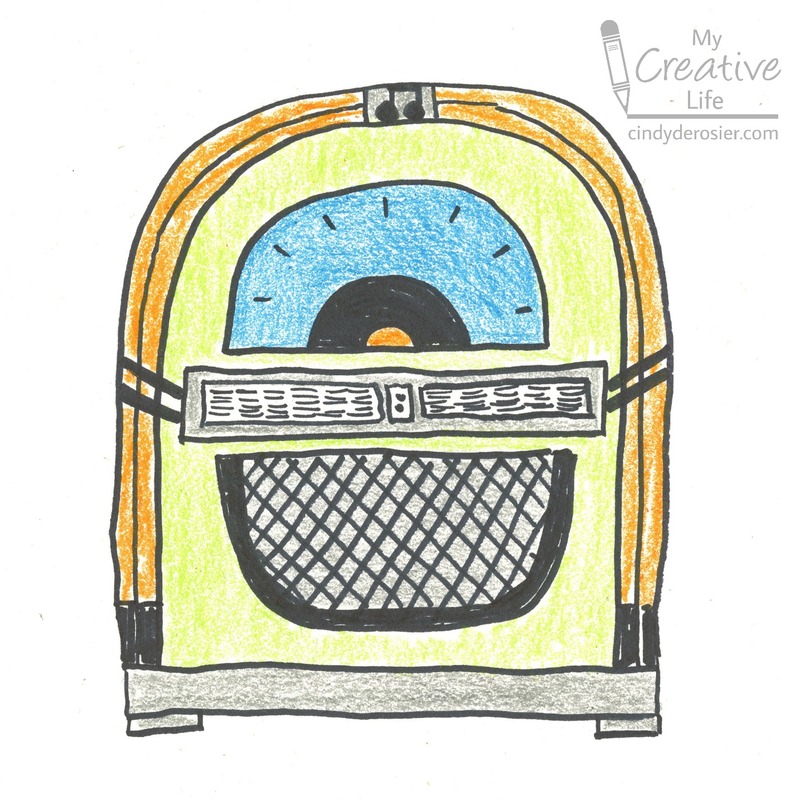 Jukeboxes come in every color you can imagine and often feature neon, sparkle, or other attention-getting shades. 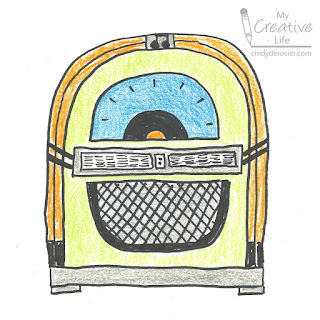 Turn on your favorite retro music to inspire your designs! If you draw a jukebox, let me know. I'd love to see your drawings. Just for fun, I checked my theory that you can buy literally anything on Amazon and, sure enough, there are plenty of jukeboxes to choose from. Awesome! 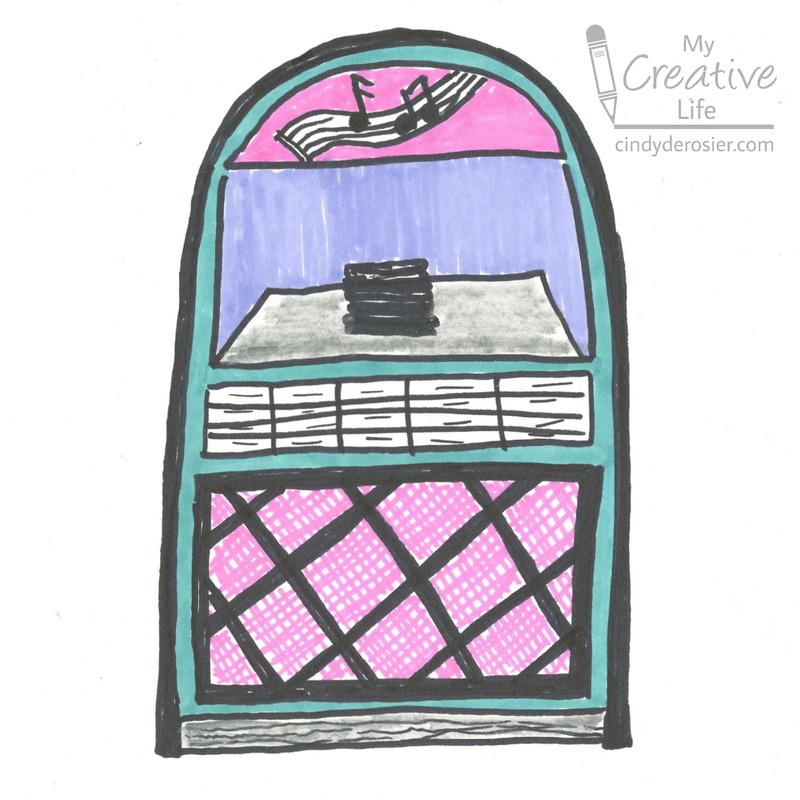 As much as I'd love to have a house big enough with a designated jukebox room, I do not. (I would also like to have a spare $9000, but I don't have that either.) 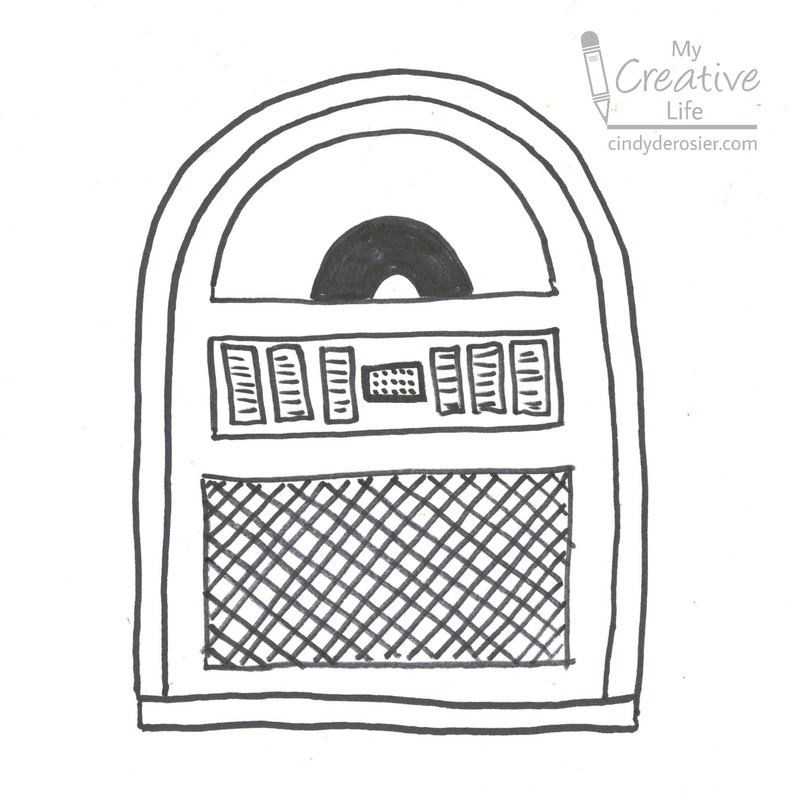 How fun would the desktop CD player jukebox be though? Or the docking station?! So cute! Love love love these!!! So FUN!!!!!!!!! !